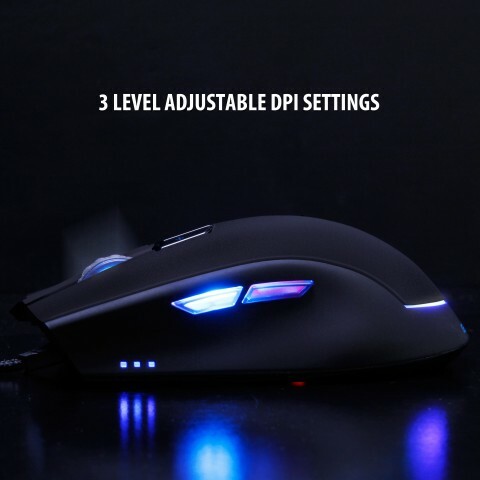 Use the intuitive , included driver software to fine-tune settings like DPI , polling rate , and sensitivity. 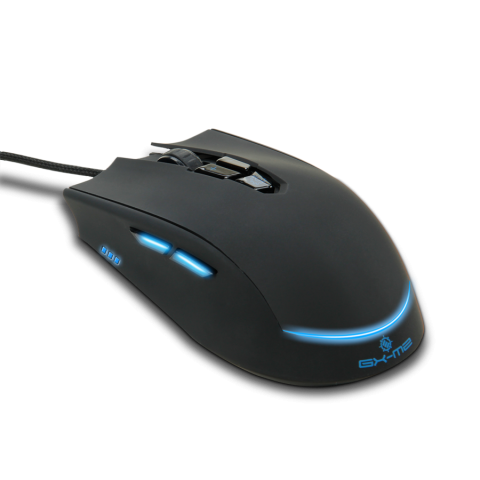 You can also create advanced macros , bind buttons on the mouse , bind buttons on the mouse emulate keyboard keystrokes , and much more. 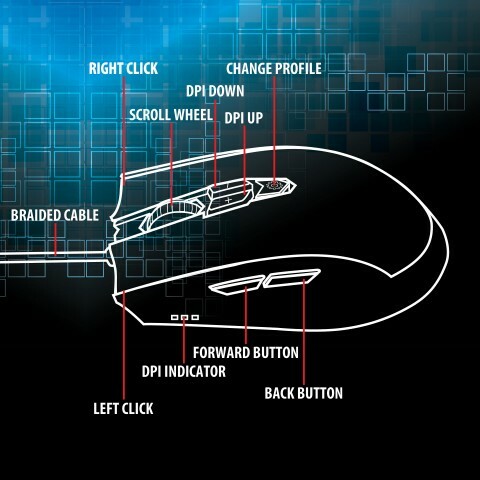 The mouse's on-board memory also allows users to store up to four separate user profiles (with unique bindings and sensitivity settings) that they can cycle through on the fly. 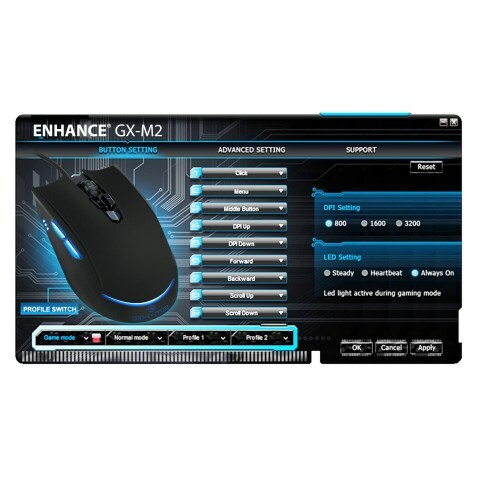 These profiles can even be exported to share with other GX-M2 users! 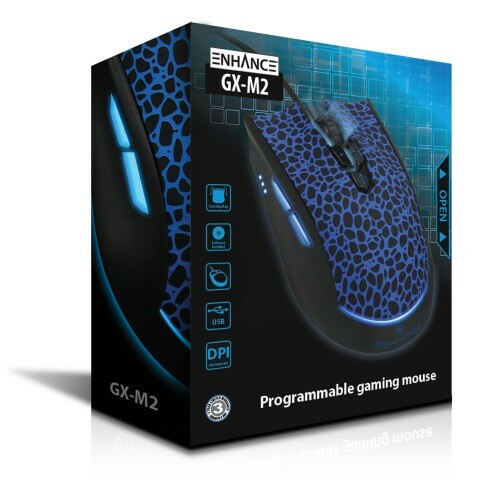 The mouse's rubberized surfaces and sleek , contoured design provide gamers with a comfortable , non-slip grip. 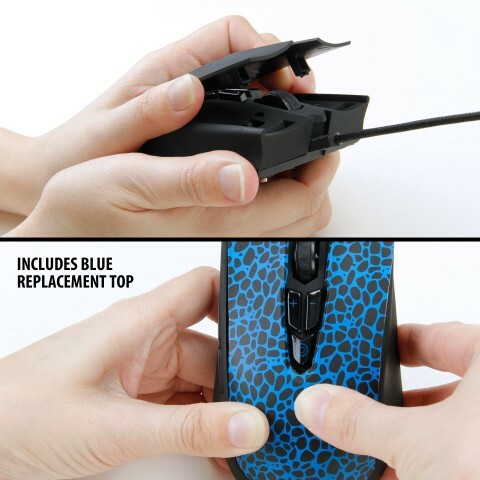 All buttons have been placed in easy-to-reach areas so you can spend less time reaching and more time fragging. 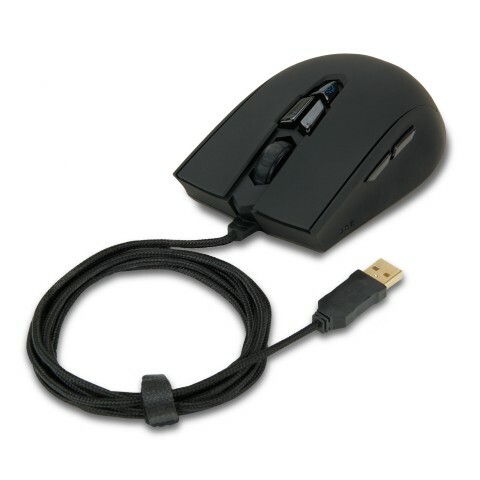 Every part of the GX-M2 , from the 72" braided USB cable to the high-accuracy optical sensor , screams premium. 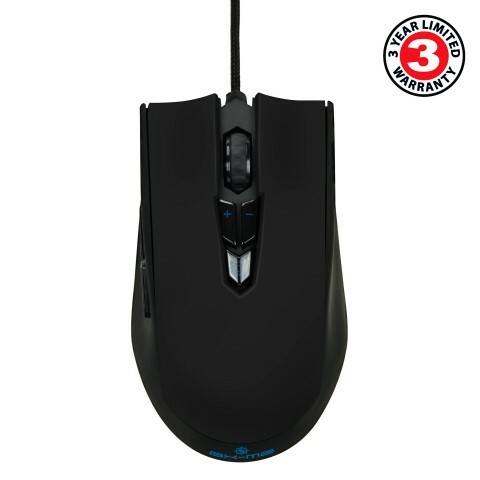 The mouse supports three DPI settings , 800/1600/3200 DPI , and three different polling rates , 250Hz/500Hz/1000Hz. 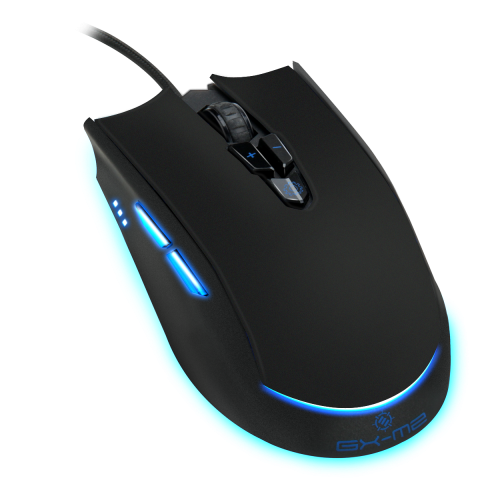 Slick blue LED accents are visible through onboard button controls and can be controlled via the included driver software.